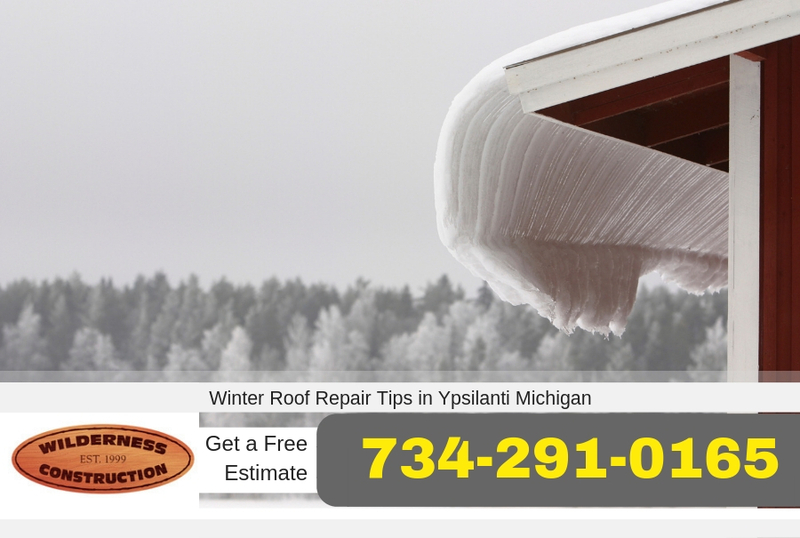 As winter fast approaches us here in Ypsilanti Michigan getting any last minute roof repairs done are crucial so your home will be protected once the temperatures fall below freezing and the snow and ice starts to gather. Making sure your roof is in good condition before the ice and snow get here can save you money both in terms of roof repairs and damages that a roof leak may cause. Be sure to read through these roof repair tips for winter to ensure your home is ready for the likes of Jack Frost in Ypsilanti Michigan. When there is a problem on your roof then it’s always best to call a qualified roofing contractor such as Ypsilanti Roofing Company. Making roof repairs yourself or even doing a roof inspection yourself can be very dangerous and you may cause even more damage than you already have. If you notice any problems be sure to call the experts at Ypsilanti Roofing Company first and allow us to do a roof inspection on your home to determine if there are any problems or potential problems that you’ll need to address on your home’s roof. 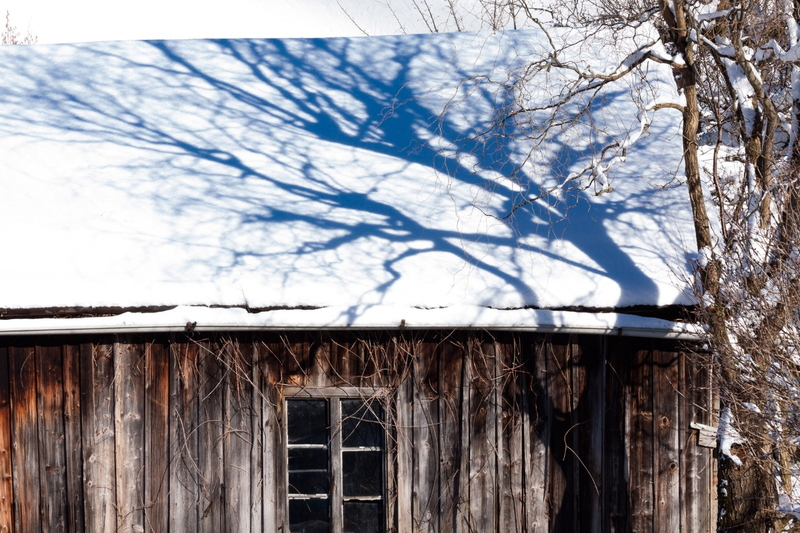 A tough time for your roof, Winter brings the threat of cold temperatures and snowy ice storms. Not only does your roof need to keep your home warm, but it also needs to be able to withstand the potential storms to come. The deposit of snowfall that a blizzard leaves behind can put pressure onto your roof, causing it to weaken. Consider these helpful tips before the seasons start to change. While your roof may be able to withstand extreme temperatures, it usually will not do well with frequent temperature fluxuations. This is where insulation becomes useful. As the snow settles onto your roof from the outside, the warm air from the inside melts a layer of the snow. This creates a sort of confusion on the outside, because then the next layer of snow will freeze into ice. Through all of this fluctuation, your roof can become susceptible to leaks. By properly insulating your attic, or the highest floor in your home, the indoor heat won’t have as much of an impact on the outside. Almost everyone shovels snow to make sure that their driveway remains clear, but the roof is often overlooked. If it is safely possible, you should be raking the snow off of your roof, too. The weight of the snow can create a pressure issue, while the melting snow can create dams of ice. Local hardware stores sell roof rakes. These devices allow you to clear your roof without having to get on a ladder in slippery conditions. It is not advised to go onto your roof at any time. This should be done from the ground level. An age-old hassle, your gutters actually have a solid correlation to your roof. If you have gutters that are filled with leaves and debris, this allows less of a path for the melted snow to escape. You should clean your gutters twice annually, once before Fall arrives and once after Fall ends. If they aren’t clear, this creates additional risk of ice dams forming on your roof because the melted snow has no egress. Another often overlooked factor is overhead tree branches. If your home is surrounded by foliage, it is essential to maintain the upkeep of these trees. Anything that hangs over your roof has the potential to damage it. By trimming these select branches, you will eliminate the risk of them becoming too heavy with snow and falling onto your roof during a storm. Tree branches hold moisture, therefore creating even more risk if they are sitting on your roof all Winter long. Getting your roof inspected before Winter even begins is a smart decision. You will be able to get a handle on any pre-existing problems before the weather starts to change. For something like this, it is essential to trust a professional. To achieve this, contact the knowledgeable staff at Ypsilanti Roofing Company – 734-291-0165. Set up a consultation today, and ensure that your roof will be able to withstand anything!